Me & My Carrier Contests ~ Philippine Freebies, Promos, Contests and MORE! 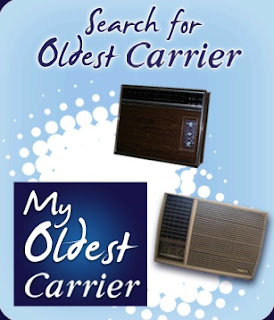 Carrier, the world leader in air conditioning, heating and refrigeration systems brings you Me & My Carrier Contests. If you think you have the oldest Carrier around, join the Search for the Oldest Carrier by uploading a photo of your unit. A physical inspection will be conducted to determine if the unit is in working condition and possesses all original parts. Five (5) chosen winners will each be given a brand new Carrier Designer Series 1HP window room air conditioner in replacement of the old unit. 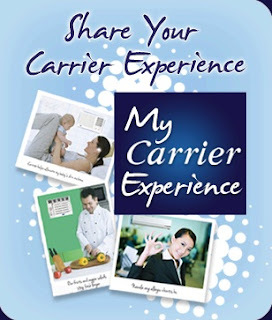 You may also enter in the Share Your Carrier Experience contest. Simply write a 500-word short anecdote of your Carrier experience (either in English, Filipino or combination of both) then submit it online together with a colored photo of your unit. Top three (3) winners will each receive a brand new Carrier Designer Series 1HP window room air conditioner. Consolation prize of P1,000 Sodexho GC will be given to 4th and 5th placer. You may enter both contests, however, you may only win once. In case you win more than once, you will get the bigger prize.